SHANGHAI: Prime Minister Imran Khan on Monday addressed the opening ceremony of International Import Expo in Shanghai, on the fifth day of his first official visit to China since assuming charge as the country’s premier. He said the Pakistan Tehreek-e-Insaf (PTI) government remained committed to improving transparency and accountability processes in the country and making it more conducive for business and investment. The prime minister said his government had initiated meaningful reforms impacting all sectors and every aspects of governance, and was committed to improving transparency and accountability by introducing smart technology solutions. He pointed out that Pakistan was blessed with an abundant array of resources ranging from minerals to fertile land to wealth of renewables, and enjoyed the most diverse landscape with 12 climatic zones. Pakistan’s industries were already producing a variety of goods in the fields of textiles, engineering, IT and medicine including surgical instruments, he noted, while stressing that the country’s most promising source was its young, vibrant population whose potential would be realised. Thanking China for its hospitality, PM Imran said Pakistan found great comfort in President Xi Jinping’s statement that their doors would never be shut but would only open wider. He said the China-Pakistan Economic Corridor (CPEC) would result in forging even closer connectivity in the region including the Middle East, Central and South Asia, by cutting short distances between countries and reducing costs. The mega project would open up new investment opportunities in the region, he expressed hope. “In Pakistan, the Karakoram highway merges into a network of modern highways that are part of CPEC. 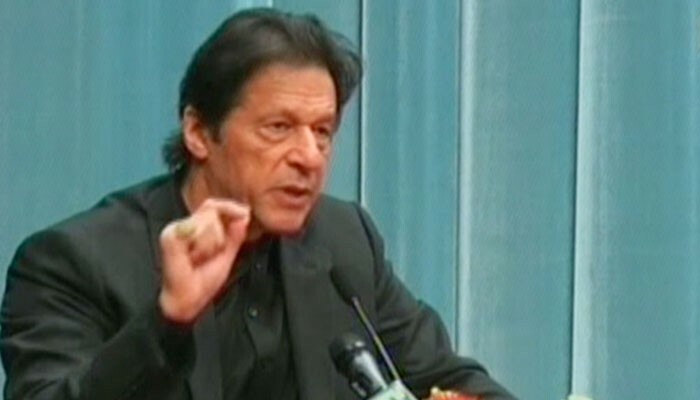 These take you to the deep sea port of Gwadar, the point where the Belt and Road converge and this impacts not only Pakistan but all economies of the entire region,” PM Imran said. Lauding the expo, the prime minister said it would help spread dividends of free trade among more closely integrated economies. PM Imran is among 17 heads of state and government who are attending the expo. More than 2,800 companies from 130 countries and regions, and 160,000 buyers from over 80,000 Chinese and foreign companies are participating. Exhibitors from around 140 countries and regions will be on hand, including 404 from Japan, the most of any country. From the United States, some 136 exhibitors will attend, including Google, Dell Inc, Ford and General Electric. President Xi Jinping said on Monday at the opening of the week-long trade expo that China will lower import tariffs and continue to broaden market access. He also promised to accelerate opening of the education, telecommunications and cultural sectors, while protecting foreign companies' interests and enhancing punitive enforcement for infractions of intellectual property rights.